What people say and think of The 48 Laws of Power, reviews from around. 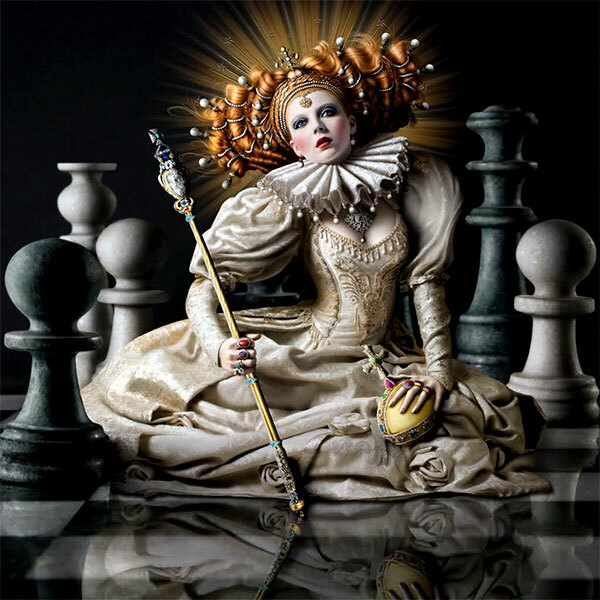 Elizabeth the First played by the laws of power, "The Virgin Queen" by Alexia Sinclair. The perfect book for the power hungry. And who doesn't want power? At work, in relationships, on the street or on the six o'clock news: the 48 Laws apply everywhere. For anyone with an interest in conquest, self-defence, wealth, power or simply being an educated spectator, The 48 Laws of Power is one of the most useful and entertaining books ever. A review in The Independent says: "This book teaches you how to cheat, dissemble, feign, fight and advance your cause in the modern world." The distilled wisdom of the masters - illustrated through the tactics, triumphs and failures from Elizabeth the First to Henry Kissinger on how to get to the top and stay there. Wry, ironic and clever this is an indispensable and witty guide to power. The 48 Laws of Power is on sale now, buy the book from Amazon. Review by Isis, a "book addict". At first this book seems to be of more use in the previous two centuries, but with perserverance it really does have immense use in life today. Many of the laws do appear to go against being charitable and generous, but the authors are merely advising to be cautious about who your friends are, sound advice even today. I love the use of fables and parables, many of which have been handed down through the ages and stood the test of time. I would recommend this book to the reader who wants a huge "leg up" in the business world, and who wants to be indispensable in a disposable world. Review by Allen Baird, Belfast, Northern Ireland. The main point I want to stress in this review, is the quality of Greene's sources. Yes, we have the usual suspects of Sun-tzu and von Clausewitz, beloved of management gurus everywhere. 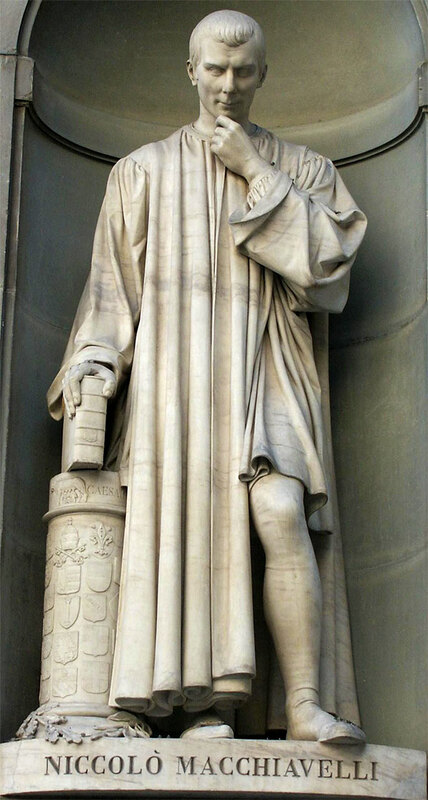 But here we find classical authors like Tacitus and Plutarch, Renaissance men like da Vinci and Montaigne, and even philosophers like Nietzsche and Schopenhauer. These people are not self-help authors or second hand car salesmen. There is also an attractive smattering of African, European and eastern fables to add some spice. The ideas derived from such sources make up the bulk and thrust of the book. There is enough substance for those with brains to read. As for the charge of immorality and manipulation, please use your words carefully. Greene, as with Machiavelli before him, gives advice from an amoral perspective i.e. looking at what works in the real world as opposed to an ideal utopia in which everyone plays by the laws of nice. So if you are sickened with the kind of self-help type literature that is chock-full of shallow sentiment or iffy science, then please recline here instead. You will find a little oasis of quality company ahead. Review by Quincy Miller who rated it 4 of 5 stars. This book belongs in the category of sad-but-true. For those who have a moral objection to the amoral approach of the author's presentation, I understand your feelings, but I think you miss the point. No matter how we feel about the dubious power plays that have occurred throughout history and that occur in our contemporary private and public lives, the fact is that they exist. Here are 48 approaches to power, some of being used against you at some point in your life, whether you agree with it ethically or not. If you are the one who chooses to never use power over another, at least learn to recognize the subtle and not so subtle ways others use power against you. Full of fun and interesting historical anecdotes, this is a thoroughly entertaining read.